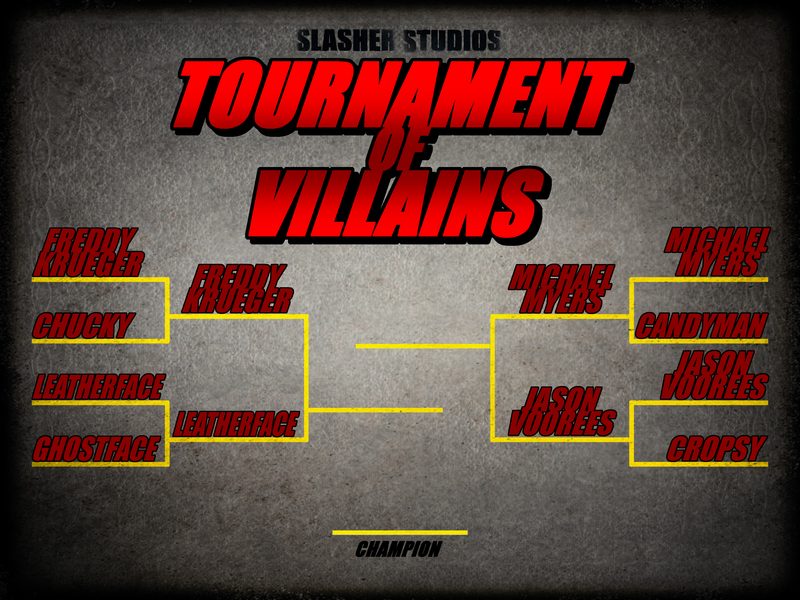 The slasher fans have voted and we are pleased to announce the final two slasher villains that are battling head to head to be crowned The Ultimate Slasher Villain. Freddy Krueger as defeated Leatherface and Michael Myers has taken down Jason Voorhees. Now Freddy goes to battle with Michael for a no-holds-bars fight. Winner to be announced on Halloween! You are allowed to vote once per day so vote now and vote often and let’s see which slasher villain takes the ultimate crown. 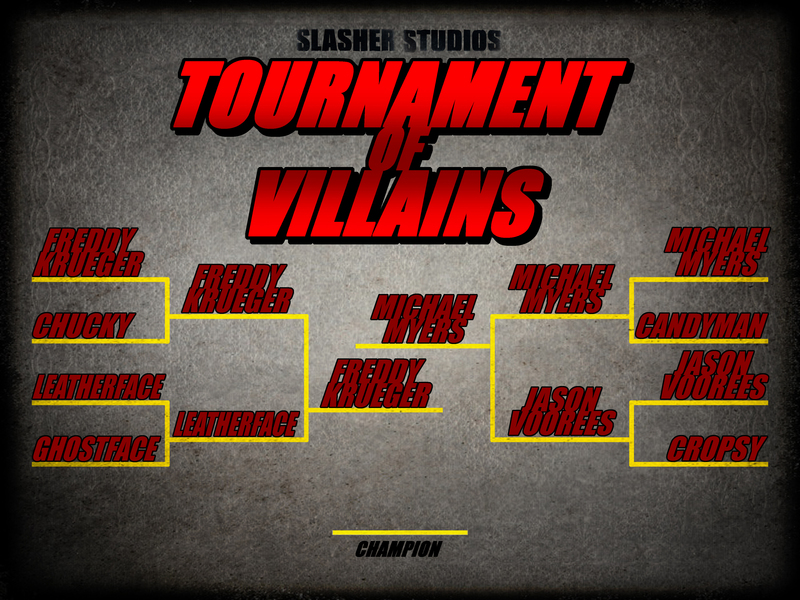 The slasher fans have voted and we are pleased to announce the slasher villains who have made the cut to the second round. 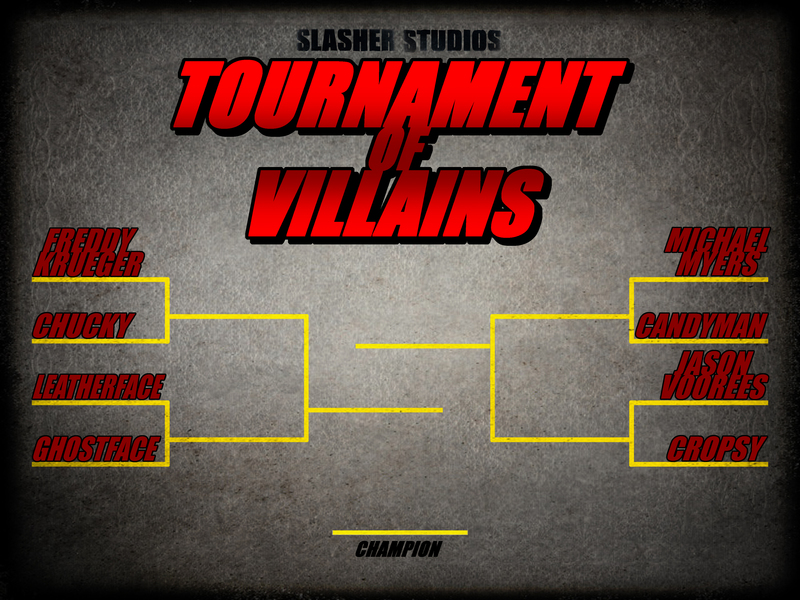 Round two will end up October 20th and then we will be down to only two choices for the crown of Ultimate Slasher Villain. You can vote once per day, so vote for your favorites while you still can! And now..on to Round Two! Are you ready to play the ultimate slasher game? YOU decide who wins the crown of ultimate slasher villain. We have four match ups in round one to vote for. You can vote once per day and at the end of the week, the winners for each round will go on to the next round for another battle. The winner will be determined by you and will be announced on October 31st. That’s right, Halloween! Only you can decide who deserves the crown so vote and make sure to tell your slasher friends about it as well.